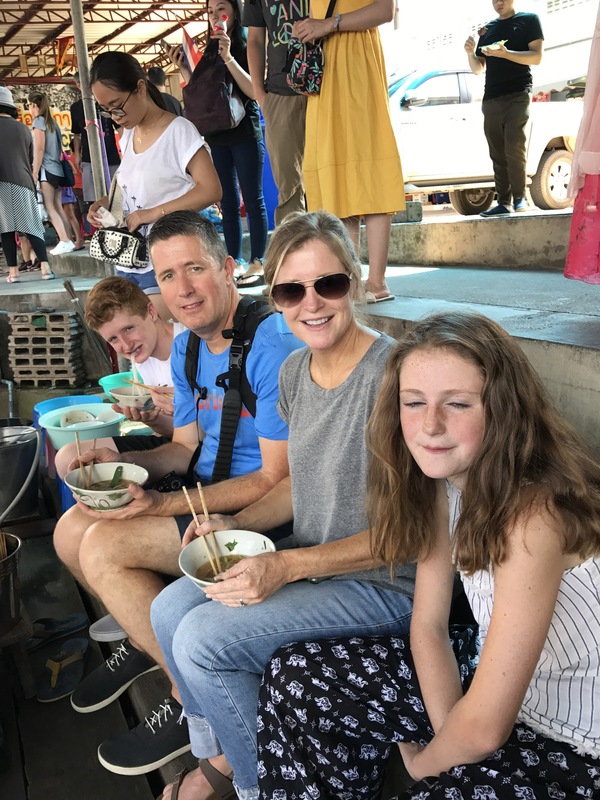 After my first trip to Thailand in 2007 I dreamed about bringing my family back to Thailand and to see more of this amazing country and their people. Mission accomplished. It started as an idea over a year ago and we soon built a plan to make it happen, at first were skeptical and didn’t know how to plan it for it and what to do exactly. Do we wing it, or do we use a travel agency with connections in the area. We opted to do a hybrid model of this. We booked the long haul flights using Cathay Pacific paying slightly more for Economy Plus seating (well worth it). We then did a deeper research on what core areas we wanted to see, then built our straw man itinerary based on that. 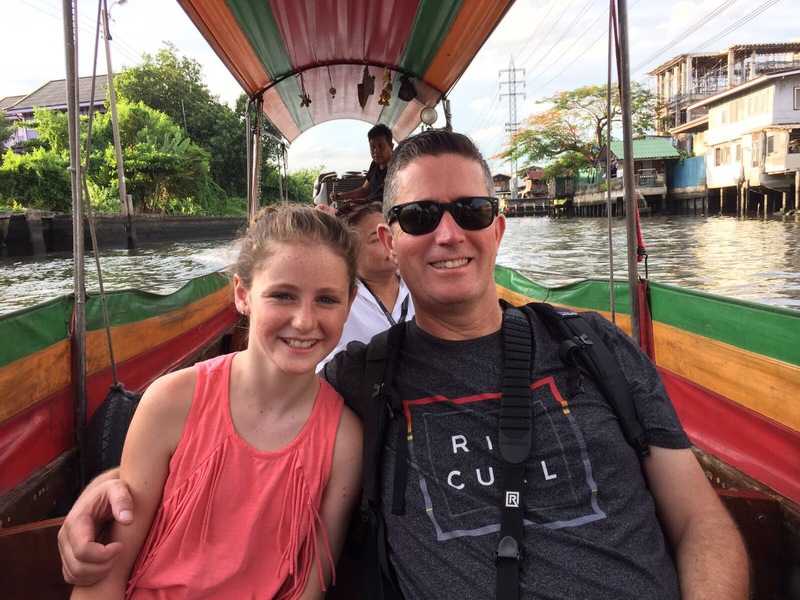 We used a Travel agency (Trails of Indochina) for helping us with the bookings on hotels, local shuttles, tours, and intra-country air travel. It was well worth using them as they connected all the dots which enabled us to visit our main core areas of Bangkok, Chiang-Mai, Krabi, and Koh Samui. once everything was locked and loaded, it was a exciting trip which we had several months to look forward to. The experience for the kids was my favorite part of the journey. We left from LAX on monday at midnight, and arrived in Bangkok just before noon on Wednesday. That experience of flying with the family. Multiple time zones for the night was a really deep relationship experience. 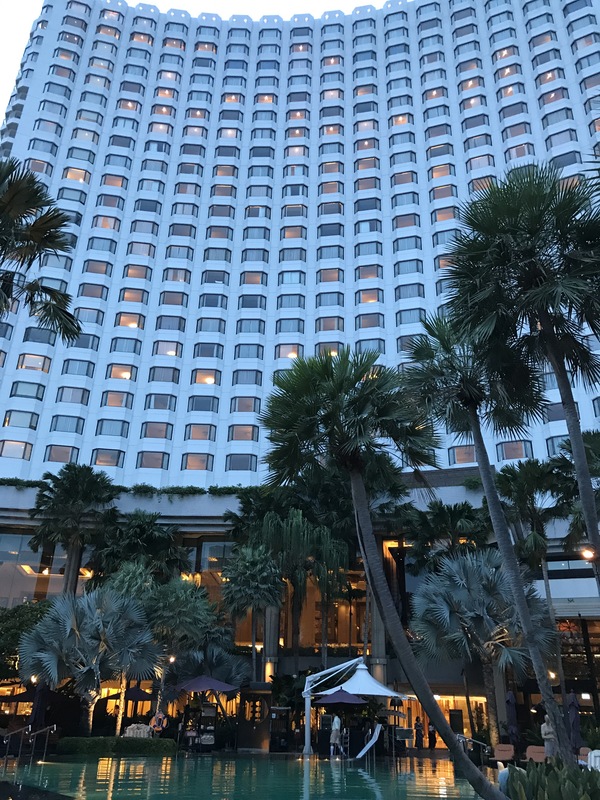 One of my favorite highlights of the trip was after we arriving in Bangkok we checked into our hotel the Shangri-La and then proceeded to dive right into the trip. 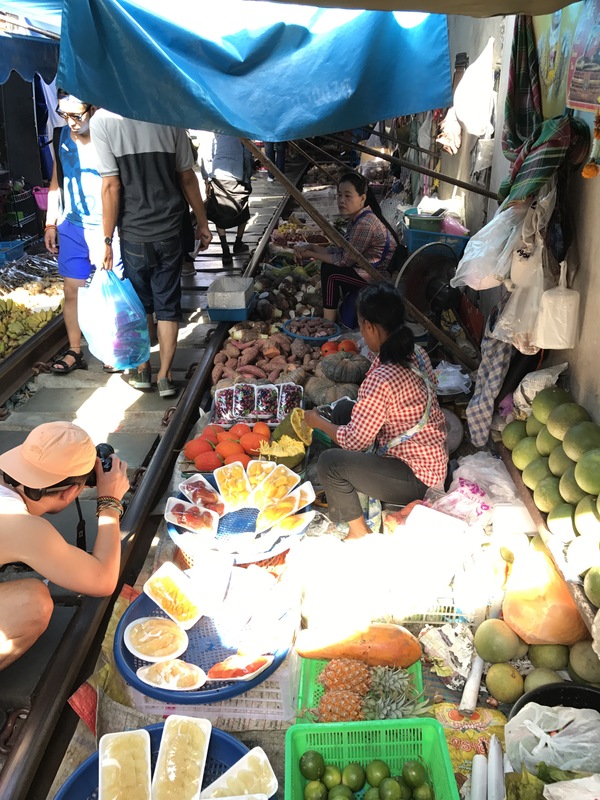 We met with our guide Susie and went to downtown Bangkok, China town to visit the local markets. 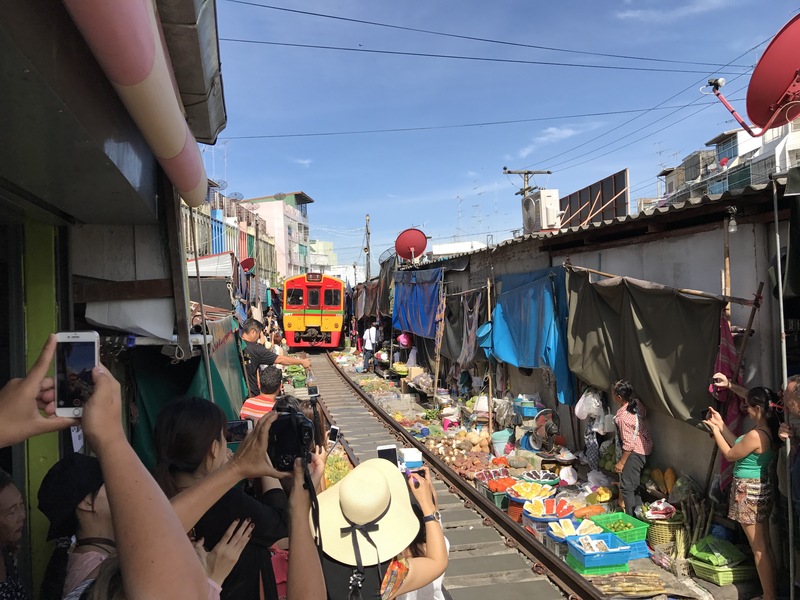 The experience the kids had with the cultural sensations sight and smell of the city of Bangkok resulted in an incredible eye opening experience for all of us. Watching Lauren and Jack’s face as as we ate strange food was incredibly funny and entertaining. Visiting the temples and understanding the religion of a foreign country was an incredible experience for the family. 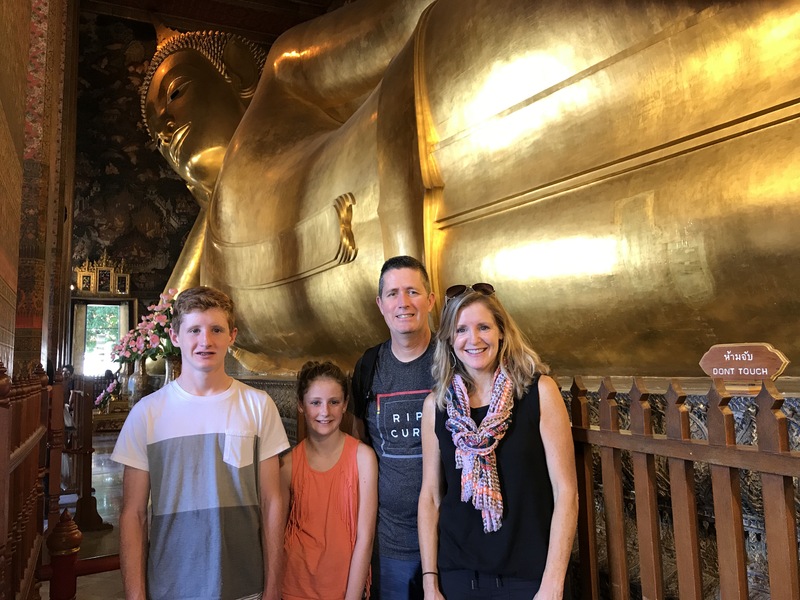 I loved the reclining Buddha and our experience going to the temple taking our shoes off and seeing the ancient traditions and artifacts of Buddhism. Another Highlight and something I was initially hesitant about doing (being monsoon season) was visiting Chiang-Mai, the northern section of Thailand. I was pleasantly surprised and happy we made this part of our itinerary. One of the main highlight of Chiang-Mai was our visit to Patara’s elephant reserve. This was incredible trip and one of our favorite parts of the journey. It is located at the base of the Himalayas and well-manage reserve. We took care of families of elephants. 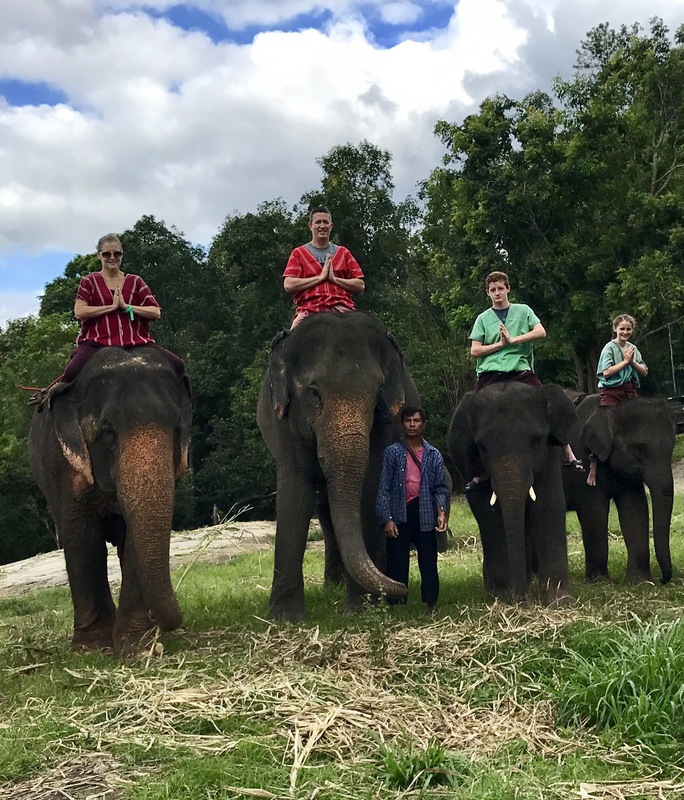 The experience of bathing feeding and riding the elephants was incredible. We also enjoyed the South coast of Thailand visiting the islands and the beauty within the southern part of Thailand. 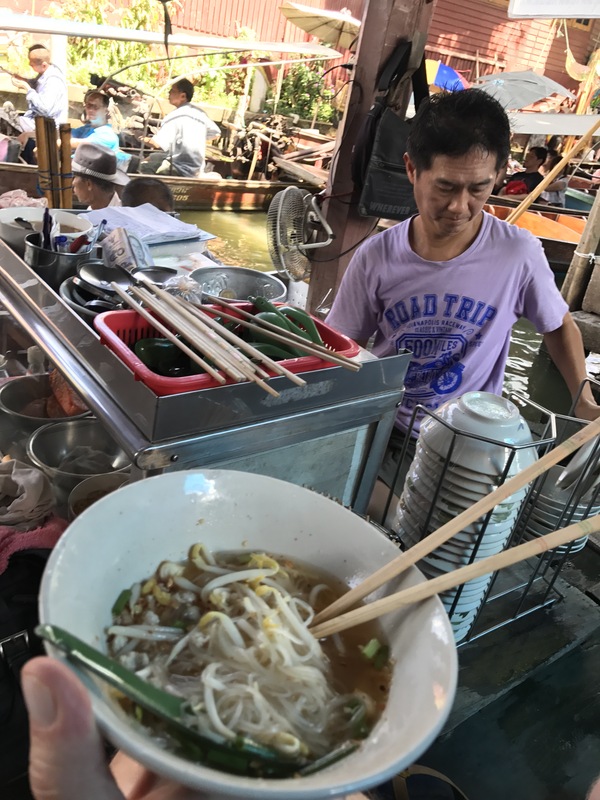 The people of Thailand the food culture the atmosphere is incredible incredible experience with you will never forget I highly recommend a visit to Thailand. Long journey leaving LAX at midnight on Monday via Cathay Pacific (splurged for economy premium) and stopped in Hong Kong with final arrival at Bangkok airport 10am on Wednesday. The kids were awesome with the long travel and slept well on the plane. The city is in a mourning year with the loss of King Rama 8th, he will be officially cremated in October. 1. 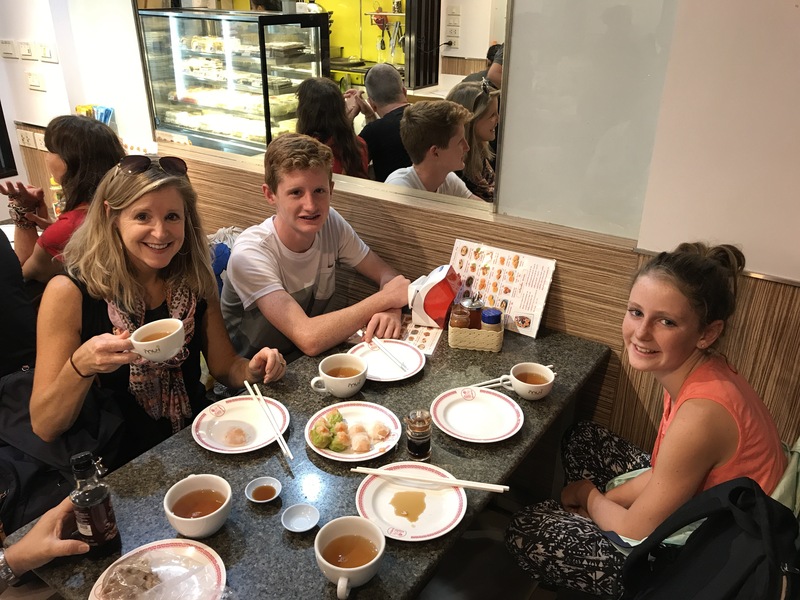 China town and had Oolong tea and dim sum, also ate some street food, Lauren was pretty freaked out by the crowds, sights of different food, and smells, but then soon settled in. It Was very hot and humid. Loved the experience. This day to me was the quintessential feeling of sensory overload which Bangkok is all about. You cannot explain it, you have to experience it. 2. Next up we went to The Wat Pho, which was top of my list, to see the temple complex where the reclining Buddha resides and also the temples with sitting Buddha and standing Buddha. It was quite incredible sight to see. Entering the temple you take your shoes off and tour the temple. We paid tribute to Buddha with paying coins to the 118 pots, this is a meditative process and you should do it with a clear mind. the temple is the highest class of temple associated with King Rama I (King Rama 8th just died last October), his son will be oronated in October with the official burial of his father. 4. 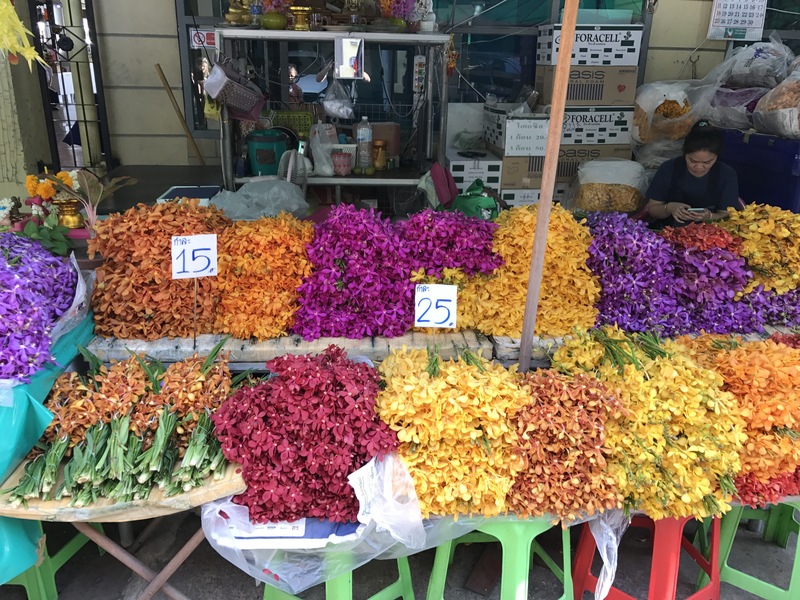 Flower market with Jasmine and marigolds. Susie gave Lauren and Amy two Jasmine bracelets made from flowers which are incrediblly beautiful and intricate. The other thing I find so incredible in Bangkok is the level of craftsmanship and community you see in these communities. These handcrafted flower arrangements were beautiful and as I write this one day later our hotel room smells beautiful as a result. On day 3 (Friday) it was off to Chiang Mai via Bangkok Airways, a short one hour flight which was very easy and low key. Krabi , he was an amazing beautiful portion of the trip. any trip it doesn’t include the southern portion of Thailand is incomplete. Krabi is on the Indian Ocean side and is perfect for visits to hundreds of islands off the coast of Thailand. On my last visit I visited Phuket and had similar trips to the islands. We took a daylong trip out to the islands visit Phi Phi Island, James Bond Island, and Maya bay. we snorkeled and enjoyed the beauty of these islands was a perfect day. Our stay at the resort was good but not my highlight of the trip. It was a nice resort very crowded with lots of tourists. it was definitely catered towards a very large tourist population. I did have some wonderful food and Krabi, with a local restaurant near the resort, which made amazing Thai food right before your eyes. Jack and I also had Thai Massages, which were very relaxing and focused on muscle relaxation. the girls got sick on this portion of the trip, which made it not fun for them, but once recovered we were back and business and ready for our next and final leg of the journey. Koh Samui was incredible. We drove across the mainland several hours and then took a fairy across the the Gulf of Thailand. We then proceeded to check in to our resort which was absolutely beautiful. The Antara was the best of all resorts on our trip (five stars). It was intimate comfortable relaxing and close to the sea. this portion of our trip was really focused on relaxing and enjoying the beach and the pool and good food. I highly recommend this part of the trip. 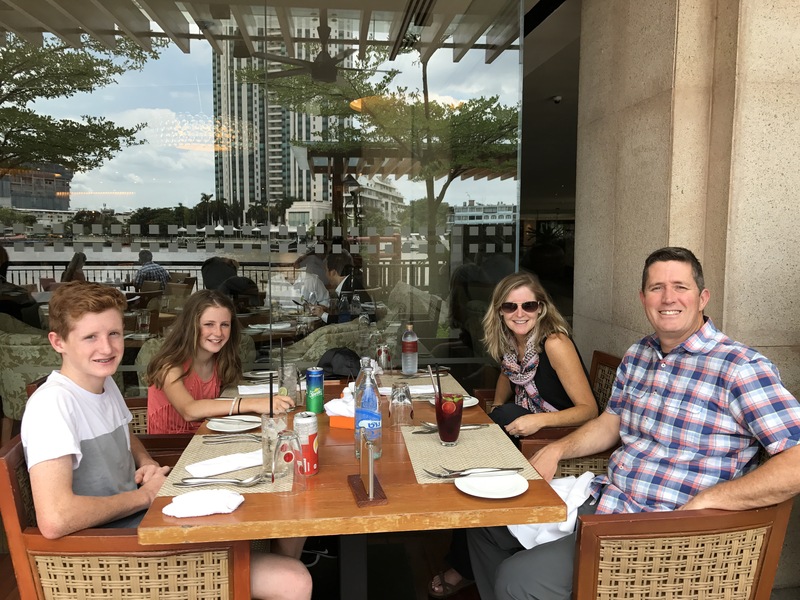 We rented jet skis and rode them out on the Gulf of Thailand we shopped at the night market and have wonderful dinner in town. after a couple days we were ready to go home. this is a short summary of an amazing trip which I highly recommend.